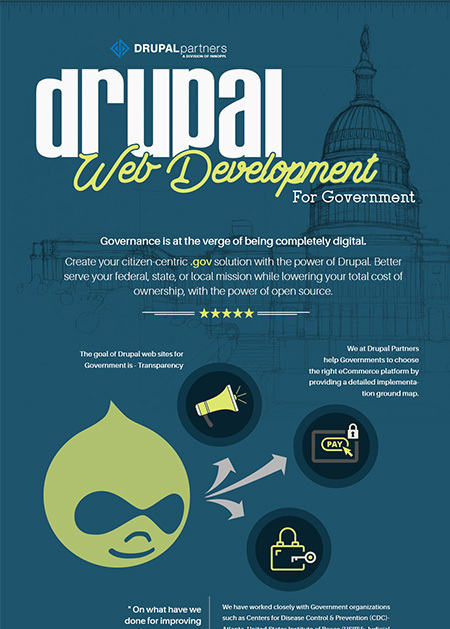 Our Drupal infographics are aimed at powering decision makers with the relevant industry-specific information. Find how industry leaders are putting Drupal in use to gain results and in turn revenue. 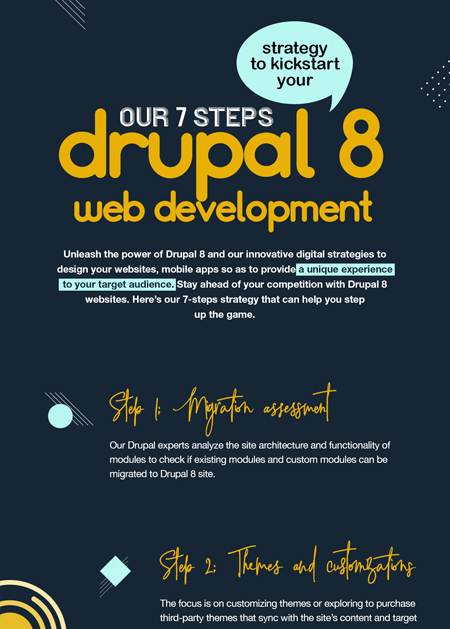 Unleash the power of Drupal 8 and our innovative digital strategies to design your websites, mobile apps so as to provide a unique experience to your target audience. 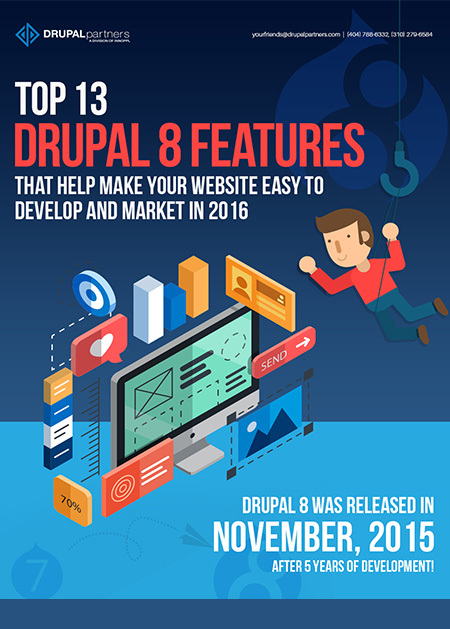 Stay ahead of your competition with Drupal 8 websites. Here’s our 7-steps strategy that can help you step up the game. 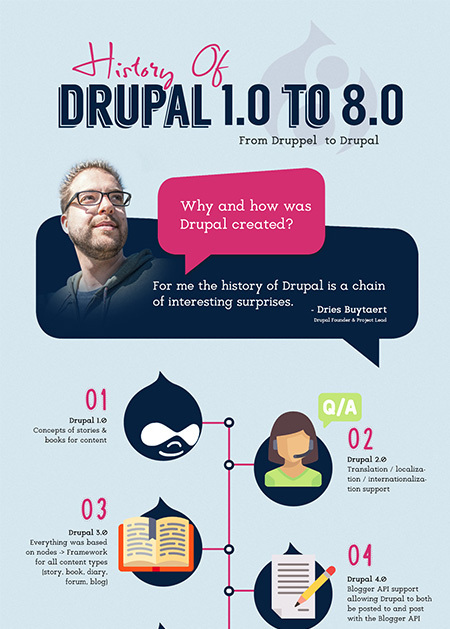 An infograph on how Drupal has transformed from Druppel to Drupal 8. Over the years, Drupal has introduced nodes in Drupal 3, weblogs in Drupal 4 by making it portable, included watchdog as hook functionality. And now with the incredible Drupal 8, we have a CMS with a mobile first front end and simple admin functionality. The holiday season is kicking off this week. In 2015, shoppers spent $4.45 billion on Black Friday and Thanksgiving. The holiday season is the ideal time for online stores to make extra sales and huge profit. 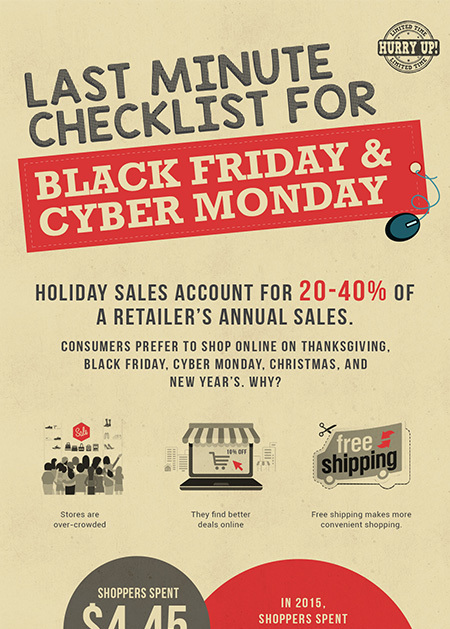 Our infographic has a last minute checklist for you to have successfull Black Friday and Cyber Monday sales this year. 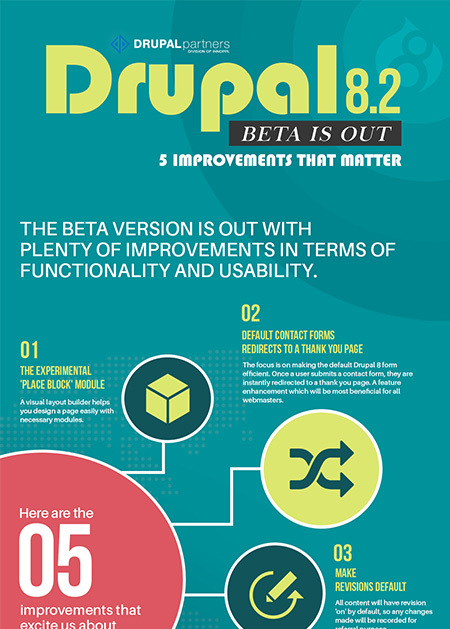 The Drupal 8.2 Beta version is out with amazing enhancements for both developers as well as end users. More than the functional changes, the usability features take the spotlight. There are also various changes made to the API functionality and the migration path. Drupal 8 is out and it’s packed with incredible features that promise to make designers’, developer’s and the site admin's life easy. If you’re confused about which platform to develop your new site in, know that the latest Drupal version is the real deal. It's extremely secure and has strong tools to help you build a robust and flexible website. 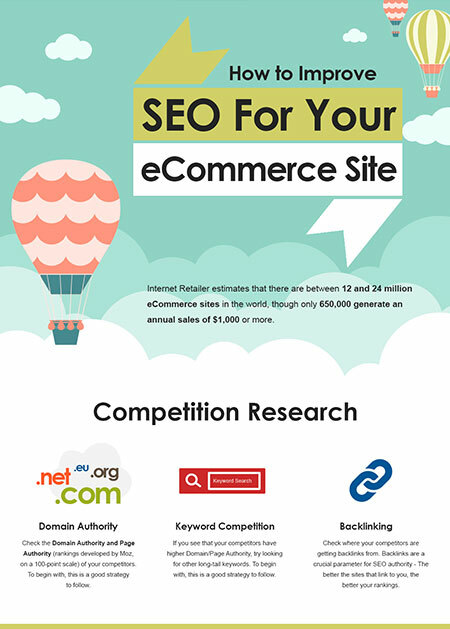 If you have an online store, SEO is crucial for business. Nothing proclaims credibility more than Google rankings. With more and more users searching Google organically for products rather than looking through sites, ranking for relevant products should be your biggest priority. Here are a list of things that you should pay attention to, if you want your eCommerce site to succeed.